OSWEGO COUNTY – The community is invited to review and comment on a draft update to the Oswego County Multi-Jurisdictional Hazard Mitigation Plan. 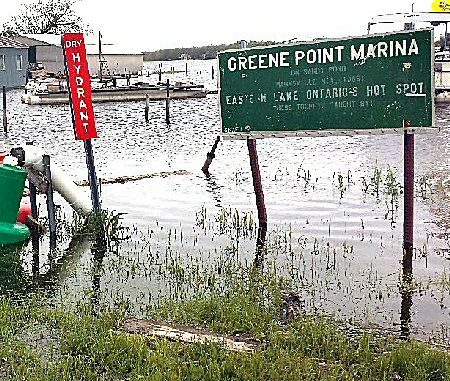 Flooding on Lake Ontario from May through October 2017 was one of the disasters addressed during the update to the Oswego County Multi-Jurisdictional Hazard Mitigation Plan. A public meeting/open house on the plan will be held Wednesday, April 17, in the Legislative Office Building at 46 E. Bridge St., Oswego. The Oswego County Emergency Management Office will host an open house/public information meeting on April 17, from 4 to 7 p.m. at the Oswego County Legislative Chambers, 4th floor, 46 E. Bridge St., Oswego. 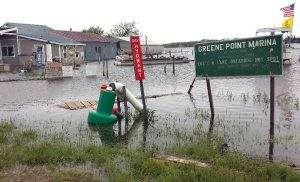 Presentations on the plan will be held at 4:30 p.m. and 5:30 p.m.
Oswego County received a federal grant to update the Multi-Jurisdictional Hazard Mitigation Plan, formally adopted by the Federal Emergency Management Agency in 2013. Jurisdictions that participated in the update remain eligible to apply for Hazard Mitigation Grant Program Funding through FEMA for qualified projects. The purpose of hazard mitigation planning is to reduce property loss, damage to the environment, loss of life, and the number and severity of injuries that result from hazard events. For the update, Emergency Management Office staff partnered with other county and New York State partners, local municipalities and private agencies to review the natural hazards ranked in the original plan and consider new projects to lessen the effects of disasters. The plan includes an annex for each participating jurisdiction, including the county, that outlines the risks each community faces and suggests projects for reducing the impacts of those risks. The updated plan and appendices can be viewed online at http://www.oswegocounty.com/emo/hazard.html. The plan may also be viewed at the Oswego County Emergency Management Office, 200 N. Second St., Fulton, Monday through Friday, 9 a.m. to 3 p.m. The office is located in the basement of the building. Comments will be accepted until April 24, when the plan will be finalized and sent to New York State and FEMA for approval.